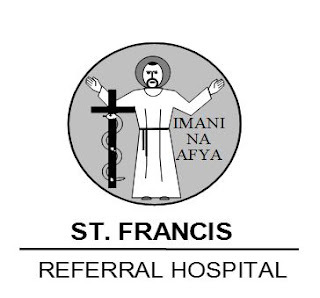 St. Francis Hospital belongs to the Roman Catholic Diocese of Ifakara and has fulfilled so far – according to a contract with the government – the assignment of a Designated District Hospital. It was responsible for the medical care of Kilombero and Ulanga Districts, in other words, for about 600.000 people living in an area approximately as large as Switzerland. On 28/06/2010 the Minister of Health, Prof. David Mwakyusa, appointed St. Francis Hospital as Referral Hospital. Now it is one of 9 Referral Hospitals in Tanzania. That means that all hospitals in the surrounding districts which are not equipped with the necessary personnel and gadgets and can therefore not treat certain patients properly transfer them to Ifakara. Its area of responsibility has been extended this way, and the responsible staff is faced with great new challenges. The decision of the selection/recruitment committee will be final. Shortlisted candidates will be called for the test or interview. Higher qualification/ related experience and suitability. or dropped by hand at the SFRH, Ifakara. Kindly note that only shortlisted candidates will be contacted. Maintain required standards of punctuality and attendance.